While clowns from Caring Clowns International visit the children’s hospital in Lima, Peru, they join up with a Lima-based clown organization called 3.16 Hospital Clowns. We were first introduced to the 3.16 Hospital Clowns in 2017 and formed an immediate connection. During this year’s medical mission to Lima, the two groups again joined forces, clowning together at the Instituto Nacional de Salud del Nino, children’s hospital. 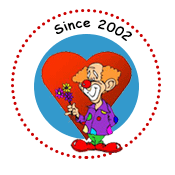 By providing two clowning workshops a year, the group now has 40 members. They promote themselves through the 3.16PayasosDeHospital facebook page. 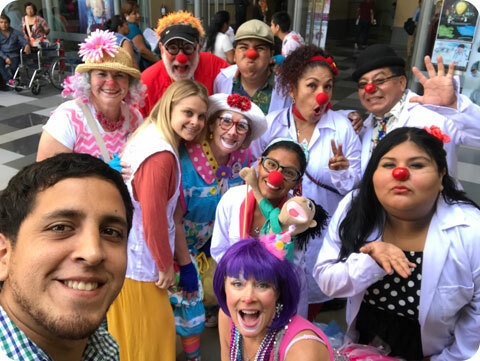 The all-volunteer group continues to clown at the Edgardo Rebagliati Hospital as well as the Instituto Nacional de Salud del Nino. In addition to the Saturday hospital visits, they unite with other groups in the community once a month to visit orphanages and shelters. Their focus is to service their neighbors – creating smiles and bringing happiness to those of all ages. The number 3.16 in the group’s name comes from the bible verse John 3:16.